Making magic is a steal… and now, you can be in on the action! Retweet or Tweet Quote any Magic Madness Contest post from now through April 4, 2016 for a chance to win a complete Magic Bullet system and a collection of NutriBullet SuperFoods. 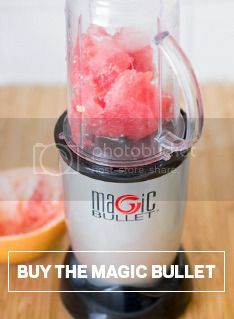 Be sure to include #MakeMagic and #MagicBullet to be entered. Winners will be notified via Tweet on April 5, 2016. Yes, it’s that simple! Show your March Madness pride and you could win big. We’ll see you after the game!